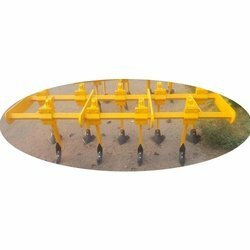 We are a leading Manufacturer of power tiller seed drill planter, tractor rotavator, tine ridger, janta cultivator, tractor mowers and fertilizer spreader from Karnal, India. 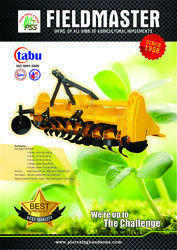 We are using best steel to manufacture these Ridgers and suitable to different HP ranges. We are also designing these ridgers as per requirements of our clients and providing them customized solutions. 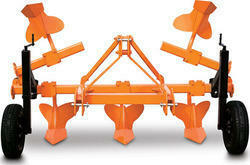 Designed for fast application to any type of 35-50 HP tractors with three point linkage. 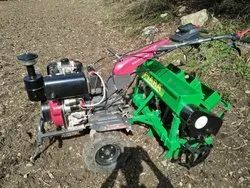 Tractor driven suitable for P.T.0.540 rpm. 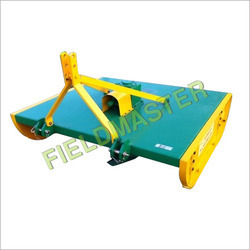 Rotary slasher and grass slasher having reversible steel blades for cutting wild grass, shrubs, weeds, sugarcane stacks, etc. Cutting width : approx.6 feet & 8 feet. Height adjustment : 25 mm to 200 mm. GEARBOX Single Speed 540 r.p.m. Single Speed 540 r.p.m. APPROX. WEIGHT 325 Kg. 410 Kg.